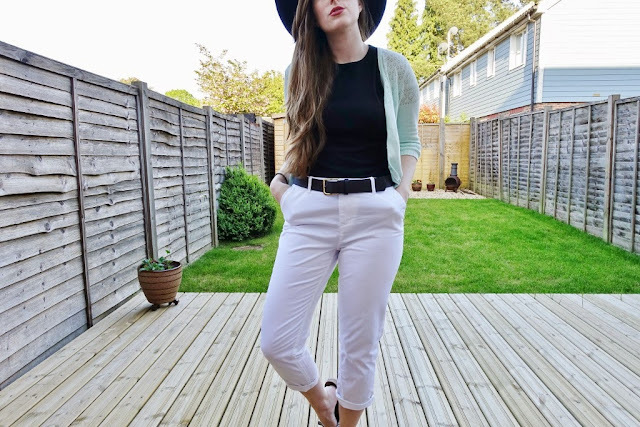 With summer on its way I was recently asked by Fat Face Clothing to style up a summer look incorporating some key, on trend items from their latest holiday shop. So me being me, I picked out the brightest colours I could find, strongly sticking by the pastel coloured, oh-I-do-like-to-be-beside-the-seaside look! 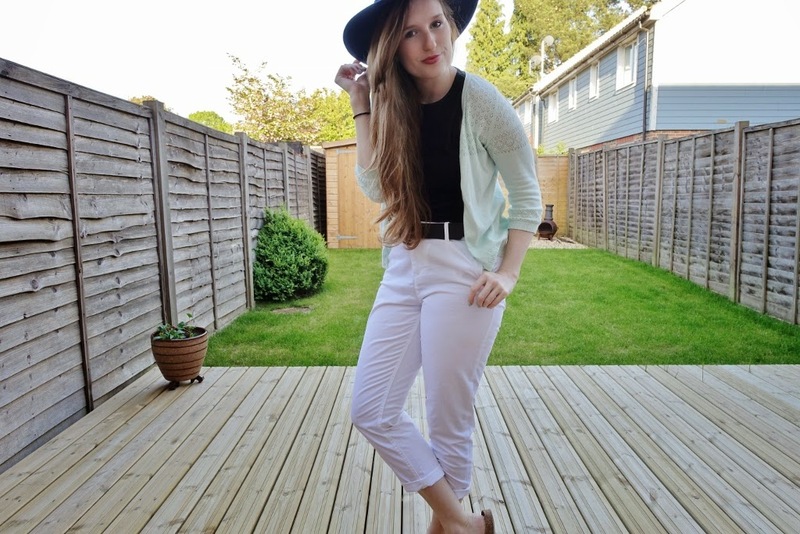 Naturally I was drawn towards choosing these two pieces; the annie cardigan in sugar green paired with some chalky chino crops; both versatile pieces for any summer look! I didn't own a pair of chino's until now, and I'm so glad I picked the chalky colour, granted, I'll have to be careful where I place my precious derriere, but white looks so pure and fresh in any outfit. For me; this screams the perfect casual holiday beaching look; chino crops paired with lazy pool sliders; I can just imagine me sitting comfortably a beach sipping on a pina colada! 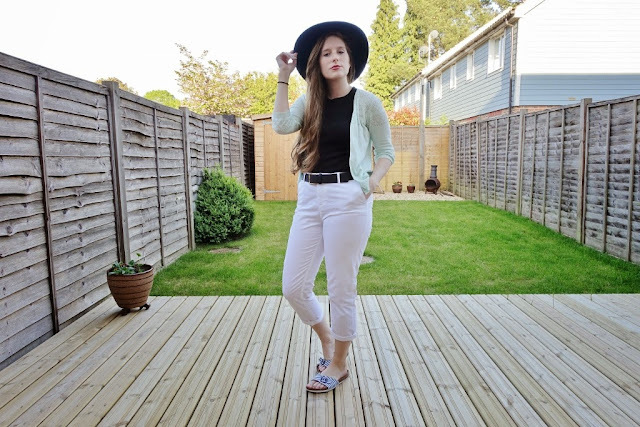 Check out another casual beach look of mine! 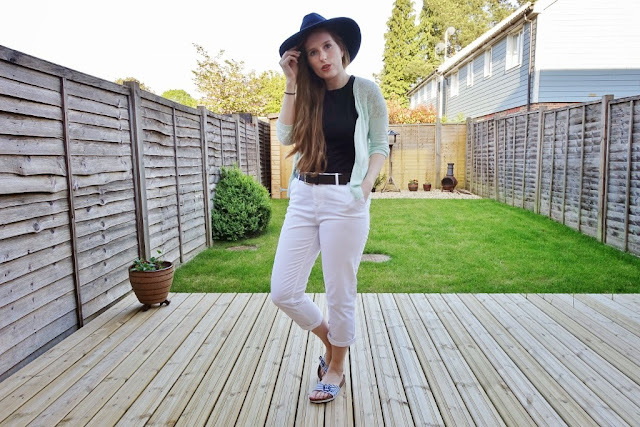 Loving this outfit! Wish I could pull that hat off as well as you do! I love how you aimed casual chic! The whole look is perfect!! xo.